Loosing a spouse or a loved one can cause trauma, depression, and can often times make someone isolated themselves from the rest of the world. 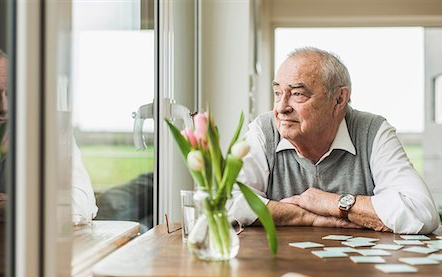 Residents in senior care often experience depression or grief when loosing someone. It can be challenging for residents to do much of anything and often times isolate themselves from group situations. Many facilities now are providing support and fun activities to help create a better environment. Taking care of someones well-being and making sure that they are interacting socially is important. If someone you know or a loved one is suffering with social isolation due to loosing someone it can have heavy effects on them. Changes can be hard and some patients already struggle with having to share their new home with other people. It does bring new friends and plenty of company but that doesn’t change the fact that they have lost someone. Learning to identify any signs of depression and the difference with grief can allow some facilities to better support their residents. Having an awareness to residents and what is going on in their lives is crucial to their overall happiness and how well they participate in any social activities or celebrations. It’s good to allow alone time with these residents to go through the natural stages of grief. Different approaches to handling someone who is experiencing grief or depression could be celebrating life, allowing quiet time, and starting new traditions. Holidays can be a hard time on residents who have lost their traditions and are no longer doing what they have done for several years or even their whole life. With a little thought to recognizing all these differences it can truly leave a positive impact on these residents. If you or someone you love is needing Long Term Care or more information about it be sure to visit LTC TREE for more information.